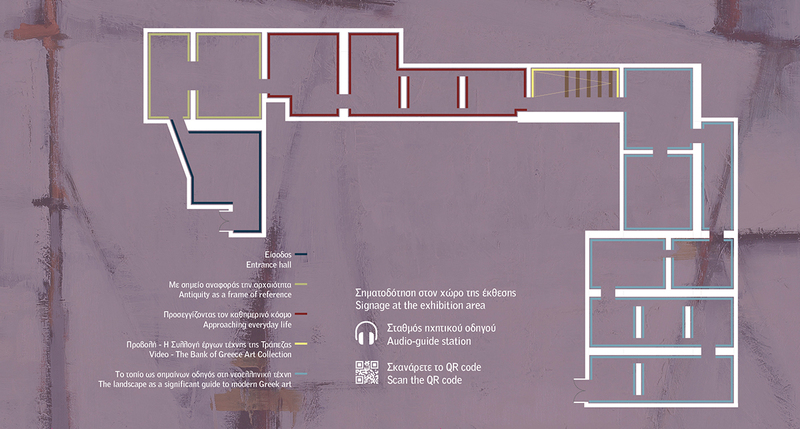 The exhibition Frames of Reference – From the Bank of Greece Collection is organised on the occasion of the 90-year anniversary from the Bank’s start of operations, in 1928. It was on that same year, 1928, that the Bank began collecting artworks, gradually forming a core of creations by painters of the 19th and the beginning of the 20th century, who stand out in Greek art history. Up to this day, the Collection comprises around 3,000 works of painting and printmaking, as well as a small number of sculptures, dating until nowadays and highlighting different aspects of Greek art. 160 artworks from the Bank of Greece Collection form the selections of the exhibition Frames of Reference. 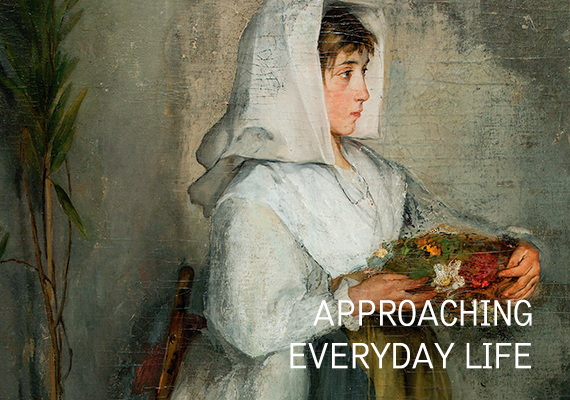 In order to look into them, three broad themes were taken into account, centred on ideas which have at times, yet consistently, preoccupied and inspired Greek artists: reference to antiquity; the approach of everyday life; landscape as a guide of artistic expression. Throughout the exhibition, the artworks appear divided into these thematic categories, but also organised in a unified whole, loosely echoing the flow of history of modern Greek art. In its entirety, the exhibition aims to point out the unyielding interest of Greek artists in these themes, which have served as “frames of reference” for their creative expression and the development of their personal artistic idiom. The themes are rendered, according to the moment and the artists’ beliefs, either by revisiting well-established past symbols and ideas, or by crossbreeding this existing artistic legacy with new perceptions and influences. 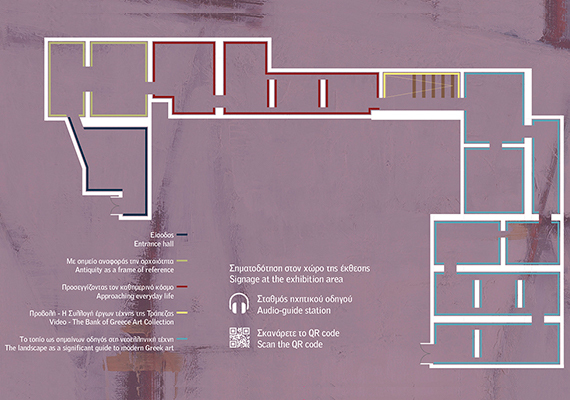 Within these thematic axes, the exhibition encourages a visual dialogue between the works that illuminates fruitful connections and differences among them and identifies not only constants but also the quests of Greek art. Interpretations can also be drawn as to how each theme as a “frame of reference” for artistic expression has, at times, served different intentions and objectives –artistic, ideological, social– in discussing and promoting changing ideas within Greek society. 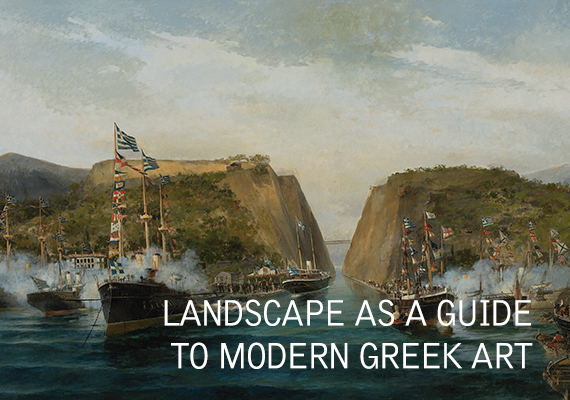 Thus, the Collection itself becomes a “frame of reference” of artworks that contribute to a timeless rendering of aspects of the Greek cultural identity. 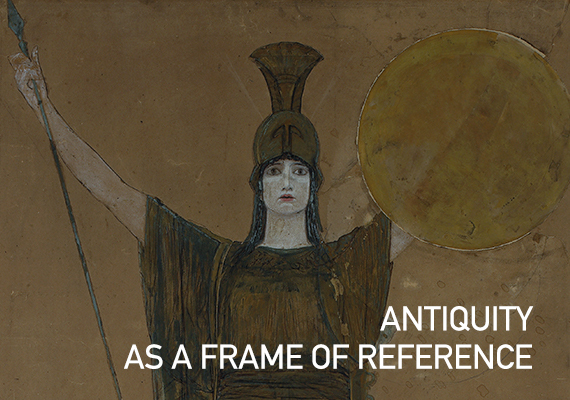 The Exhibition Frames of Reference – From the Bank of Greece Collection is presented at the Benaki Museum - 138 Pireos Street.